Northern Ireland’s courts must hand out deterrent sentences to anyone connected to terrorist activity an MP has said, after a man convicted of possessing blast bomb components was given a suspended sentence. Gavin Robinson spoke out about the leniency of sentencing after north Belfast father-of-five John Paul Magee was spared prison yesterday. 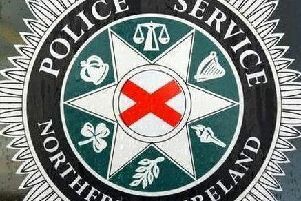 Magee, 39, of Ardglen Place in the Ardoyne area, pleaded guilty to possessing explosives in suspicious circumstances between August 2008 and August 2009, after police traced his fingerprint. But after a barrister told the court Magee was needed at home to help care for his daughter who has a serious medical condition, Judge Paul Ramsey QC imposed a sentence of three years, suspended for two years. Even though the custody threshold had been passed, Judge Ramsey said there were exceptional circumstances which would allow him not to send Magee into immediate custody. Reacting to the sentence, Mr Robinson, the MP for East Belfast and a qualified barrister, said the courts must take a tougher line on terror offences. “I find it incredible that in our society that if you are connected with serious charges involving explosives or potential terrorist activity there is a sentence regime that allows you to go without serving any time in jail – I think it is unbelievable,” he said. There have been a number of seemingly lenient sentences handed down in terror cases in recent years, which the News Letter has documented. In one such case in 2016, north Belfast man Conal Corbett, then 18, was given a suspended sentence for his role in a plot which saw a remote-controlled bomb planted on a public street at an interface flashpoint, which failed to detonate when triggered. Belfast Crown Court heard yesterday that the charge against Magee arose from the search of a house in the Ligoniel area of north Belfast on August 18, 2009. During the police search, a number of items were found in a wheelie bin – including three glass jars wrapped with silver duct tape, nails and screws, and black firework powder. Magee was interviewed on July 20, 2016 and gave a ‘no comment’ response to officers. But he later admitted his guilt. “I recognise that there are mitigating circumstances in every case and that the courts have to weigh those up, but where is the deterrent in that sentence? There isn’t one,” Mr Robinson continued.